Increasingly, the topics of growth mindset and grit have entered schools and classrooms across the country. Based on the work of Carol Dweck, educators have been studying and discussing how to help students develop a stance of growth and perseverance — as opposed to a fixed mindset, where people see ability and skills as innate. Some believe the key to encouraging a growth mindset in students is to praise effort, rather than providing empty feedback to students through simple praise such as "good job" or "nice work." While effort, and providing students feedback on effort is helpful, it is not the complete picture. 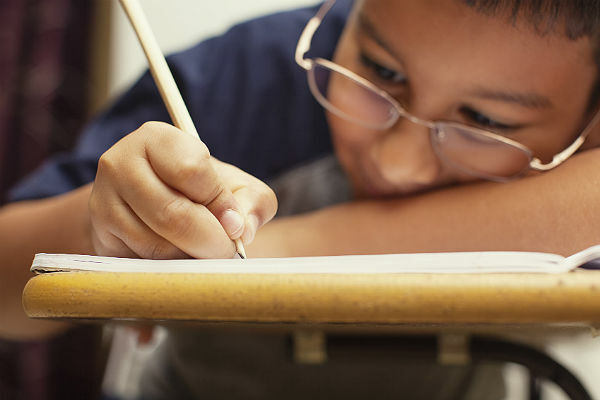 English learners in particular may already be working hard, and — depending on the instruction they are receiving — may not be making the progress in content and language that is necessary for success. It is no secret that content instruction can be challenging for English learners. The instruction is often delivered in English, a language that they are not fully proficient in, and the concepts and skills taught are often complex. Depending on the particular student, keeping up with content instruction can be daunting and frustrating, and at times students feel like giving up. When teaching content, it is critical that we focus on making the instruction comprehensible to English learners, while not watering down the concepts and skills being taught. Of course, the same can be said of language instruction. Students may find instruction in vocabulary, syntax, grammar and other aspects of language challenging and frustrating if the instruction is not targeted to their language level. One key aspect of making content comprehensible is to pay attention to students' language proficiency level and provide appropriate scaffolding for students. This entails determining how much support students actually need in order to be successful. In order to push students to higher levels of understanding, and to encourage a growth mindset, provide instruction that is just above students' current level of understanding. In this way students are not being provided instruction that is too easy, nor too difficult. How then does comprehensible input and scaffolding encourage a growth mindset in English learners? Consider first that incomprehensible instruction encourages frustration and the potential to shut students down to learning altogether. When students find success with learning content through instruction that is targeted to heir needs, they are more likely to continue to make an effort to learn more content. However, scaffolded, comprehensible input alone may not be sufficient to foster a growth mindset in students. How the teacher approaches students and the errors they make is also a critical aspect. Just as the topic of growth mindset has recently increased, so too has the topic of long-term English learners, or LTELs. LTELs are students who have been in U.S. schools for more than six years, but who have not yet reached proficiency in English, and because of this fact are struggling academically. Some LTELs may feel their level of English is acceptable as they speak English and are able to survive on a day-to-day basis, both in the community as well as at school. It is important that we encourage these students to continue to develop more sophisticated language skills in order to achieve academically and to be successful in college and in their future careers. One way to encourage growth mindset in English learners is building stamina in instruction through chunking information for specific amounts of time. For example, students who are easily frustrated during instruction may need shorter time spans at first to digest complex concepts and instruction. Instruction can be broken up into time frames that are manageable, or just beyond what students are able to handle in order to build up stamina over time. In other words, if students have difficulty after 10 minutes of instruction, push the instruction to 12 minutes, then to 15, to 20, etc. Communicating to students ahead of time that the work they are about to encounter is complex can also be helpful, so they understand it will take significant focus for a period of time in order to be successful with the information. Complexity is sometimes handled better in short bursts, especially at first, until students build more stamina. By making these changes explicit to students over time, you can help them to see the growth they are making in terms of stamina during instruction. Using data, in fact, can be a powerful tool to help develop growth mindset in students. As students see the hard work they are putting into instruction is working, and the data presented to them shows they are making growth, their motivation and growth mindset will increase. This is not to say that failure as students are learning should be avoided and we should only focus on student successes. Rather, failure or challenge in the learning process can and should be pointed out as one of the key aspects of learning. Through failure, students learn what does not work or decide on more efficient and effective methods and strategies they can use to develop content and language knowledge and skills. The more explicit we are regarding students' growth over time, the more likely they are to connect the work and effort they are putting in to their success and achievement. Feedback is another key area that can develop a growth or a fixed mindset. As students learn that their effort and hard work are what help them to learn and grow, the language we use to provide feedback will have a large impact. The following examples illustrate some language that has traditionally been used in classrooms, as well as alternatives that may help to encourage students to develop a growth as opposed to fixed mindset. When students are finding success with the work they are doing, instead of saying "Good job!," "Nice work!," or "Excellent!," use phrases such as "Your hard work is paying off!," "What strategies did you use?," or "You kept going even when it got challenging!" When students are struggling, rather than saying "Work harder," or "Keep trying," consider phrases such as "What part is proving difficult?," "Let me try explaining it another way," or "I expect you to make mistakes; that is part of the learning process." While changing our language alone will not immediately change students' mindset from one that is fixed to a growth mindset, it is important to remember that language holds great power. Words can build students' confidence and encourage them to keep on going and persevere, or can shut them down and discourage ongoing effort. Through intentional planning, scaffolded instruction and strategic use of language, encouraging a growth mindset will help to increase student achievement and, perhaps, student self-esteem.